What if a device could track your physical and emotional well-being? Does your heart rate rapidly increase every time you take a meeting with a certain person? Maybe it's because they stress you out -- or maybe it's because you're in love, and that's causing your pulse to hasten. This is the type of information that a new wearable called ZENTA wants to help you make sense of. ZENTA is a new wearable from a startup called VINAYA. The idea is that its cutting-edge biometric sensors will track things like your heart rate, movement and perspiration. These will be cross referenced with information from your phone that you choose to share -- things like who you're meeting and how much time you're spending on Instagram and Facebook. People will need to log into ZENTA's app to help the technology learn. Did your heart rate raise at a particular time because you almost got hit by a car? Or because you received a certain email? ZENTA will then use machine learning to start to understand a person's patterns and emotional state -- and learn shifts in behavior. As ZENTA learns a person, the idea is that it will require less input and will get smarter about its wearer and shifts in his or her behavior. Kate Unsworth (left) with the ZENTA app and wearable. "Tech is really good at pattern recognition," VINAYA founder Kate Unsworth told CNNMoney. "Over time, the more you use the product, we'll be able to say when you spend too much time with a certain person, you don't sleep as well." In addition to sleep, happiness and stress, ZENTA will incorporate things like mindfulness, fitness and fertility tracking, said Unsworth. The product, which launched for $119 on Indiegogo on Tuesday, won't be in the hands of consumers until next spring. Unsworth, a model-turned-coder, said VINAYA has been working on this product for the past year but the idea has been in the works for even longer. 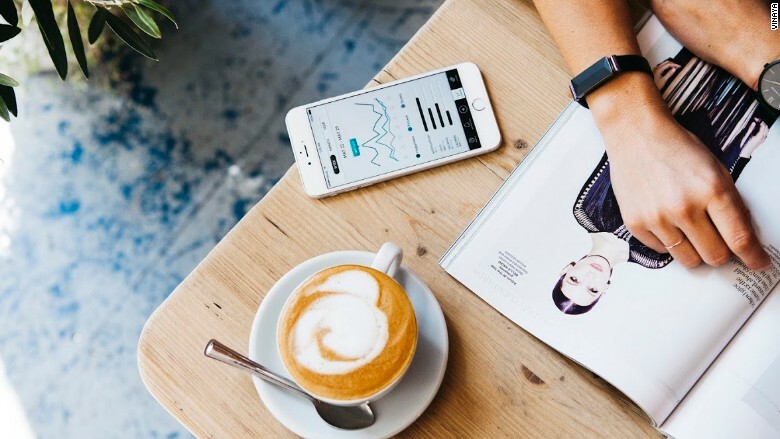 She called the bracelet an "evolution" of VINAYA's first product, Altruis, a smart jewelry line that helps people step away from their phones -- while staying discretely connected. Unsworth's long-term vision for ZENTA -- a nod to the word "zen" -- is huge: Can VINAYA use this technology to spot early warning signs for things like depression or eating disorders? "We hope we can use this to really help people in a significant way, not just in micro improvements," said Unsworth. "Can we help steer people down the right path?" 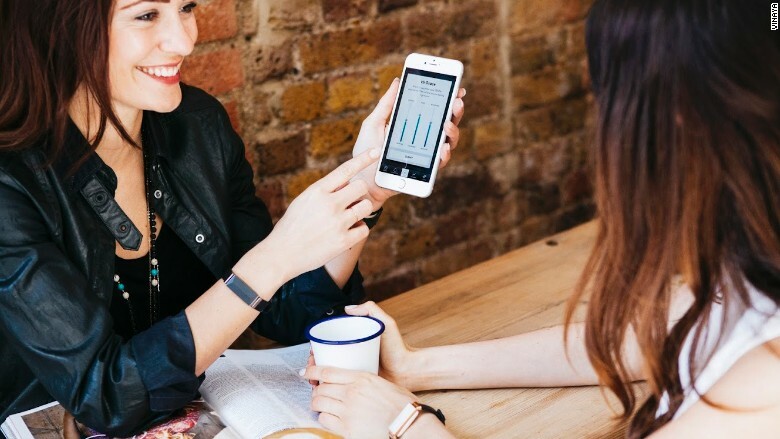 VINAYA is already in talks with research institutions, mental health organization and mindfulness experts to make sense of the data once ZENTA is in people's hands.